Rasmus Kofoed is from Denmark, where he picked up the national traits of high standards and friendly casualness. These have helped him to excel professionally in some renowned restaurants: the Scholteshof in Belgium and the Kommandanten in Copenhagen to name but two. He was the captain of the Danish culinary team for 7 years. Chef of the Year in 2003, he has taken part in competition after competition: he was winner of the Nordic Championship in Stockholm in 2004, then winner of the Eurotoques 2004 prize… which opened the door to the Bocuse d’Or where he reached the third step of the podium. After winning the 1st prize in the Nordic Trophy for the Best Fish in 2005, and the Cordon Bleu in 2006, he again won the Eurotoques prize and the Desserts championship in 2006. When not cooking or playing soccer, he enjoys art, travelling and eating in the best restaurants. A dramatic turn of events occurred in 2007 when he participated in the Bocuse d’Or and reached the second step of the podium. He went on to repeat that feat and more, by winning the gold in 2011! 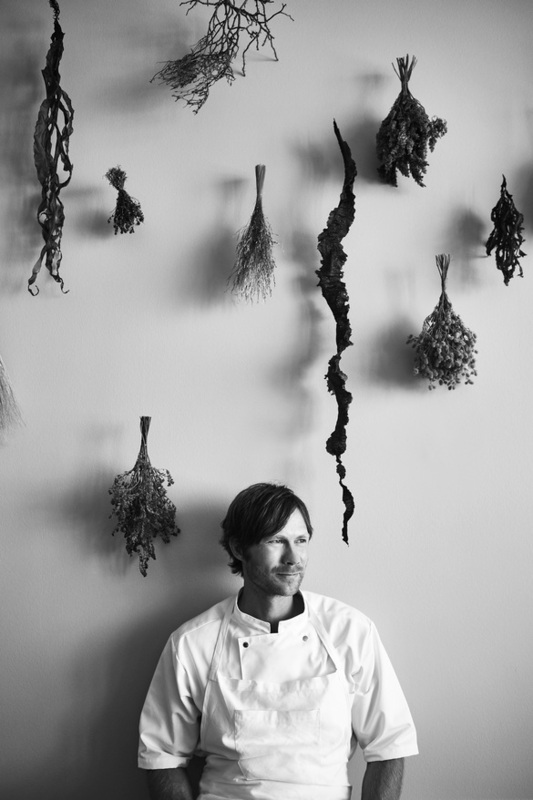 In 2007, he opened Geranium, an organic gastronomic restaurant (he’s a staunch practitioner of that style of cuisine). After winning a Michelin star in no time, he was obliged to close for reasons beyond his control. However, his fighting spirit led him to open a new Geranium in 2010, bigger, more beautiful and stronger than the first. The Michelin guide awarded him another star in 2012, then a second in 2013, and a third in 2016. He also features in the famous World 50 Best list.